We’ve all heard of (and perhaps even done a few) pub crawls, but how about one dedicated to the great American authors? On Saturday, February 20th, join Book Soup, Goodreads and PEN Center USA for the first Literary Pub Crawl and channel the spirits of Hemingway, Kerouac and Chandler with a boozy journey along Sunset Boulevard. 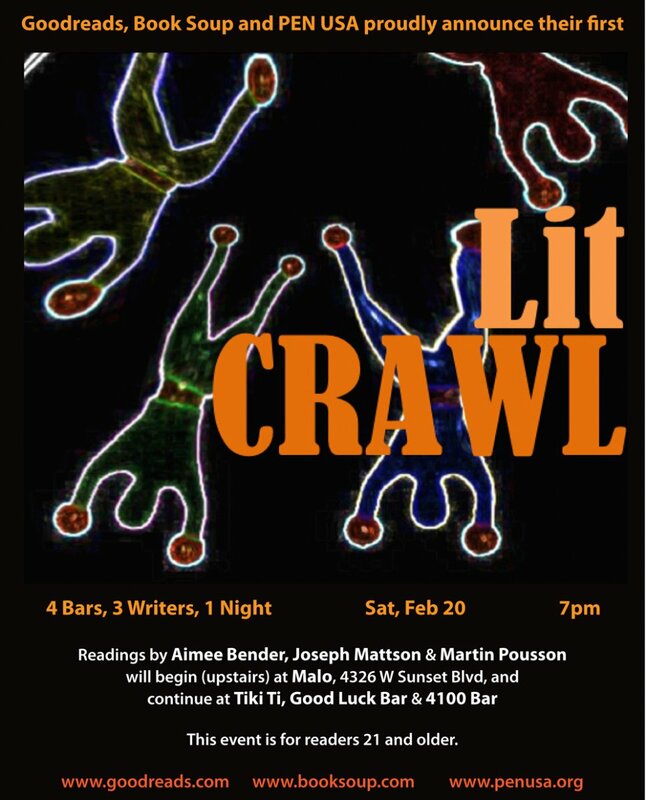 It all starts at 7pm in the upstairs area at Malo, with readings by authors Aimee Bender, Joseph Mattson and Martin Pousson. From there, the group will move on to Tiki-Ti, Good Luck Bar and 4100 Bar. Drinks, literature, and a bit of exercise: what more can you ask for? Sponsored by Book Soup, Goodreads and PEN Center USA. Dead Author Drink Specials at each bar. NOTE: this event is for readers 21 and over only. 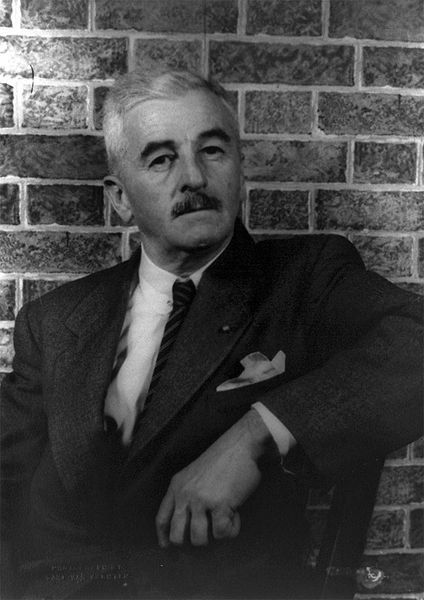 William Faulkner photo by Carl Van Vechten [Library of Congress, Prints & Photographs Division, Carl Van Vechten Collection, reproduction number LC-DIG-ppmsca-10445].